This article pulls together material from other articles in a big powerful summary. It will teach you how to get started in affiliate marketing, step by step. It covers all the bases and leaves no stones unturned. So let’s get started! What is affiliate marketing again? Affiliate marketing is pretty simple: it’s where you promote other people’s products or offers, and get a cut or commission of the sale or action. It’s not some weird new gimmick or internet fad – it’s a proven simple business model that has been around for hundreds of years. The internet has just made it a lot easier since you can get offers in front of so many people. But of course this means there is more competition… so you have to find ways to stand out. I’ll talk about some ways you can do that in this article. There are two basic types of affiliate marketing: Cost Per Action (CPA) and Cost Per Sale (CPS), also known as Pay Per Sale. Technically CPS is a subset of CPA, since a sale is a type of action. But marketers usually keep them separate and assume CPA refers to actions that are not sales, and CPS refers to sales. 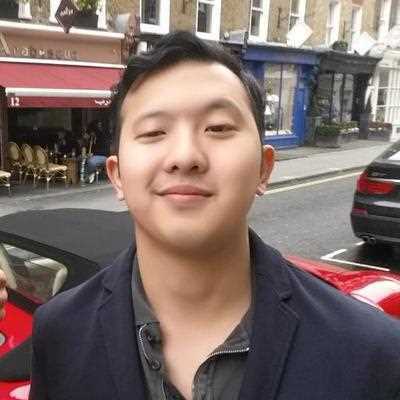 Charles Ngo is one of the top CPA marketers in the world. CPA marketing is a very different beast to CPS marketing. You are just trying to get people to take an action, like complete a form, join a website, or fill out a survey. The reward is, therefore, lower but the conversion rate is higher. CPA marketers aren’t therefore interested in building up long-term relationships with their audience. They just focus on driving massive amounts of traffic and improving their conversions until they achieve profitable campaigns and then scaling them up even further. CPA marketing is something I’m interested in but am not specialized in at the moment. If you want to learn about it, I would recommend the highly rated course CPA Pirate – you can check out a review and some bonuses here. I focus more on CPS marketing, so that’s what I’ll be talking about for the rest of this guide. I think affiliate marketing is probably the best strategy for people looking to make money online. There are low barriers to entry – you don’t need a product, a company, employees, inventory, or even a website (though I recommend you do). You don’t need to worry about customer support. The commissions are high, especially on digital products. And there are lots of types of products, offers and channels to focus on. There are some disadvantages, of course. You are relying on other people to choose the products and set the pricing – those are totally out of your control. You are continually referring your audience to other people’s products, rather than your own products. Which makes it a tougher process to build up trust and authority. But I still think overall it is an excellent choice for new (and more experienced) internet marketers. The first step is to pick a niche. This is actually a very important decision since all the other steps flow on from this one. The good news, though, is that there are lots of niches, and many of them are profitable. Some of them are huge and very profitable – such as those in the “big three” of Health, Wealth and Relationships. Before picking one of those though, I would consider “sub-niching” down and specialize a bit further. For example, rather than just being about “wealth”, this blog is about making money online through blogging, SEO and affiliate marketing. There are other wealth blogs about the stock market, personal finance, cryptocurrency, and so on. Instead of “health”, you could choose a niche such as paleo (maybe that is now big enough to be broken up into sub-niches? ), Crossfit, losing weight (arguably the biggest and most competitive niche of all), and so on. 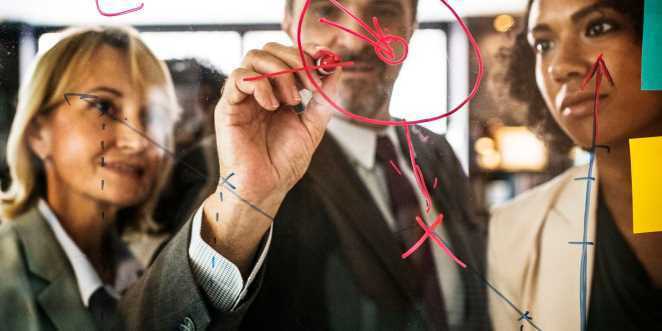 You want to pick a niche that is big enough that there is a sizeable profitable audience there, but not so big that you will be crushed by big entrenched competitors. You also want to pick one that is evergreen (i.e. is not dependent upon fickle fads or technologies that go out of fashion or become obsolete). The next step is to choose a platform to promote your content. The three main choices are written content (for which you would choose a WordPress.org blog, not a crappy free wordpress.com one), video content (start up a Youtube channel), or audio content (do a podcast). Any of those could work, but I would personally choose a blog or a Youtube channel. I don’t think podcasts give enough return on investment for most of the people going into that channel. Of course, you now need to publish content to that channel. The more content (and higher quality content), the better. For example, I started this blog by setting myself a formidable 90-day content challenge: to publish one blog post every day for 90 days. At the time of publishing, this is article number 89 of 90! You don’t need to commit to something that extreme, of course. But you do need to focus and publish a good amount of good content. Your initial objective is to build an audience and build trust and authority with that audience. That will get you a long, long way. Some people will tell you that all you need to do is drive traffic to an offer. Rubbish! If that was true, anyone could buy $100 of solo ads, rinse and repeat, and instantly scale up and make a fortune. Sadly, that’s not how this business works. People are only likely to buy from those they know and trust. So start building up that trust! The best way to do that is with powerful content. As you are publishing content and establishing yourself as a thought leader and influencer, you will also need to be choosing products and services to promote. I like using a mix of both. I promote some products that I have bought and used, such as The Lost Code or Bloggii. These low-ticket items are great because they have a low cost of entry, they have a lot of reviews and testimonials, and they appeal to my target market. But don’t forget that you can promote services, too. By that I mean some kind of tool, that people need to do a job, and that usually has a recurring commission. Common examples are web hosting, auto-responders, and click trackers. So you could promote Bluehost, GetResponse, and Click Magick. There are more unusual ones such as Instagram Growth Services like Yr Charisma too (which I use and is amazing). There are two important factors to always keep in mind when choosing products and services to promote, however. Don’t promote crap – ever! Don’t promote anything you wouldn’t use yourself, have used yourself, or wouldn’t want your name associated with. I used to use Mailchimp and it wasn’t very good so I never promoted it. I then switched to GetResponse and I love (it’s great! ), so I use and endorse it wholeheartedly! Only promote things that relate to your niche. 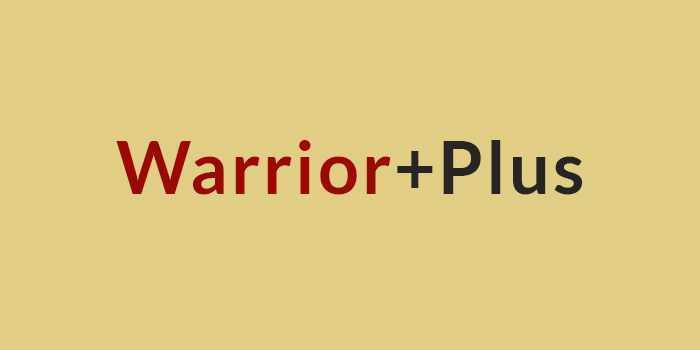 If you work hard to build up an audience in the male fitness / bodybuilding niche (which is a pretty good one by the way), then don’t promote Make Money Online products from Warrior Plus to them – even if they are good! They’re just not interested in that. Just like the Make Money Online crowd aren’t interested in bodybuilding supplements. Pick a niche, focus on it, and offer good quality products and services to them. Simple! Driving traffic would be a whole big article to itself. Actually many articles. But for a quick summary, you need to think of all traffic as being either free or paid. And you probably want to use a combination of both. Free traffic is free (duh) but is usually slow and hard. It actually isn’t really free, it costs time instead of money. Paid traffic costs money but is quick. If you’re starting out, I would recommend more of a focus on free traffic. Paid traffic can be tricky and if you don’t know what you’re doing, you can lose a fair bit of money and not have much to show for it. SEO is the most work but the most powerful. Pinterest is the least work but the traffic you get isn’t very powerful (it has a high bounce rate and a low dwell time). Facebook is somewhere in between. If you want to learn how to get traffic from Facebook, I would recommend either the Emoji Traffic course (if you are a complete beginner), or the Instant Buyer Traffic course (if you have a bit of experience). I took both those courses, and made over $100 in my first week doing Facebook marketing – so they paid for themselves many times over. If you want to learn Pinterest, I would start by reading my article on how to get traffic from Pinterest. Then if you want to go further, I would take the Bloggii course. It is not only an excellent course on how to start a profitable blog, but it also includes a big section on Pinterest traffic, which is the best Pinterest training I have found (and I’ve tried a bunch). If you want to learn SEO, well I won’t lie, it is a tough battle and a steep learning curve. Start by reading the SEO articles on my site. Then maybe look at the content from the big people in this field – Brian Dean, Robbie Richards, Matt Diggity. 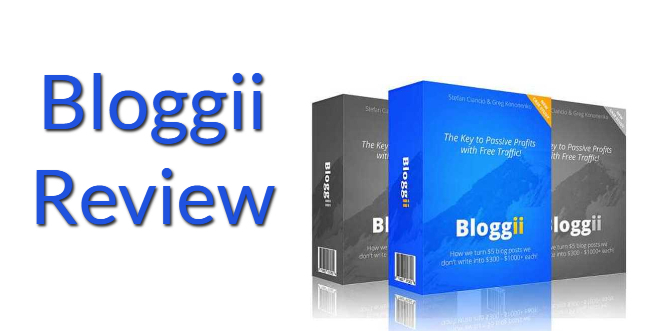 If you want to know more, then email me – or check out Bloggii. I am currently offering a free SEO consultation for anyone who purchases Bloggii through my link (until I come to my senses, haha). If you want to learn paid traffic, it is a tricky beast and requires multiple skills. Bing Ads is probably the quickest and easiest way to get started. Fortunately, there is excellent Bing Ads training included in the Lost Code (amongst many other free and paid traffic methods). So I would check that out. You need to not only build up an audience,but follow up with them too. The best way to do that is with email. So you should be not only publishing content and building up trust with your audience, but collecting their emails and emailing them too. Don’t worry about emailing them too much. Once or twice per day is actually fine! As long as your emails are entertaining and have value. Sadly, a lot of marketers send crappy thoughtless emails that offer nothing of value to people beyond having an affiliate link in them. In which case, they’re just an ad. Don’t be that guy! Focus on writing interesting and entertaining emails that build up rapport and engage people. I wrote an article on how to use storytelling in marketing, if you are a bit stuck for ideas here. Or if you want to really learn how to do this, the best course I know (if you’re on a budget) is The Commission Machine by super affiliate Michael Cheney. It has boatloads of powerful content and is under $20. The next course up from that is probably Andre Chaperon’s Auto Responder Madness, but that is about $500 (and I don’t even know if it’s for sale anymore). So check out the Commission Machine if you want to learn how to follow up and write really good emails. Step 6: Take action over and over! The big theme here is to take action – even if it is imperfect. You need to take courses to learn these affiliate marketing skills, but you will also learn by doing. So get stuck into it! Affiliate marketing has a low barrier to entry and costs almost nothing to get started. And along the way, you will learn dozens of skills that are enormously useful in today’s digital economy. So what are you waiting for! I hope you found this article helpful and inspiring. I hope you can see that affiliate marketing is not some mysterious magic or suspicious scam. It’s a set of simple business practices with simple actionable steps that you can take, starting right now. The ball is now in your court! Are you still stuck or unsure? Please let me know your questions or concerns in the comments, and I will answer them as soon as I can!